Disaster agency spokesman Sutopo Purwo Nugroho told a press conference that four hospitals in the central Sulawesi city of Palu have reported 48 dead and hundreds of injured. He said "many victims" are still to be accounted for. 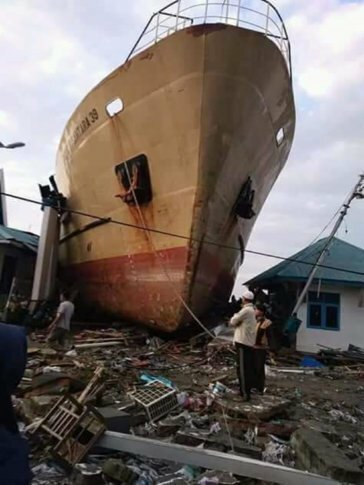 PALU, Indonesia (AP) — Residents too afraid to sleep indoors camped out in the darkness Saturday while victims recounted harrowing stories of being separated from their loved ones a day after a powerful earthquake triggered a tsunami that unleashed waves as high as 6 meters (20 feet), killing hundreds on the Indonesian island of Sulawesi. Associated Press writers Margie Mason and Stephen Wright contributed to this report from Jakarta, Indonesia.